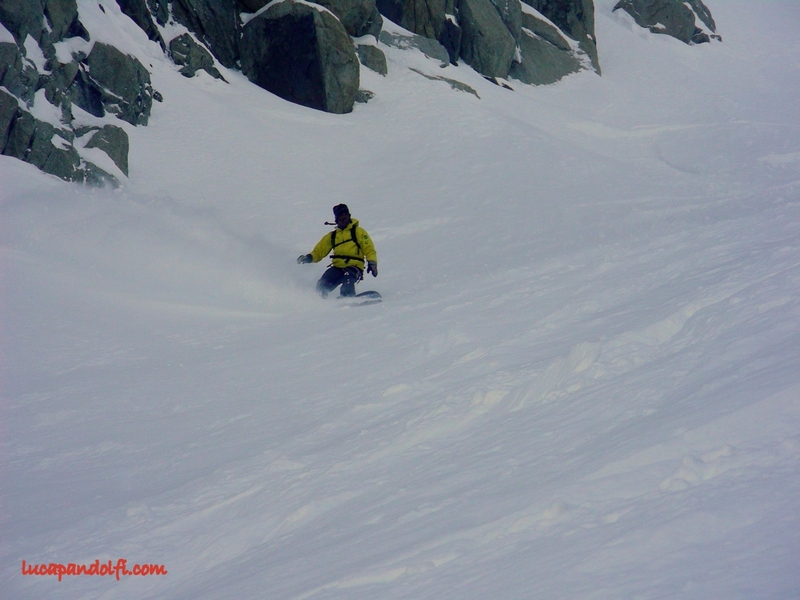 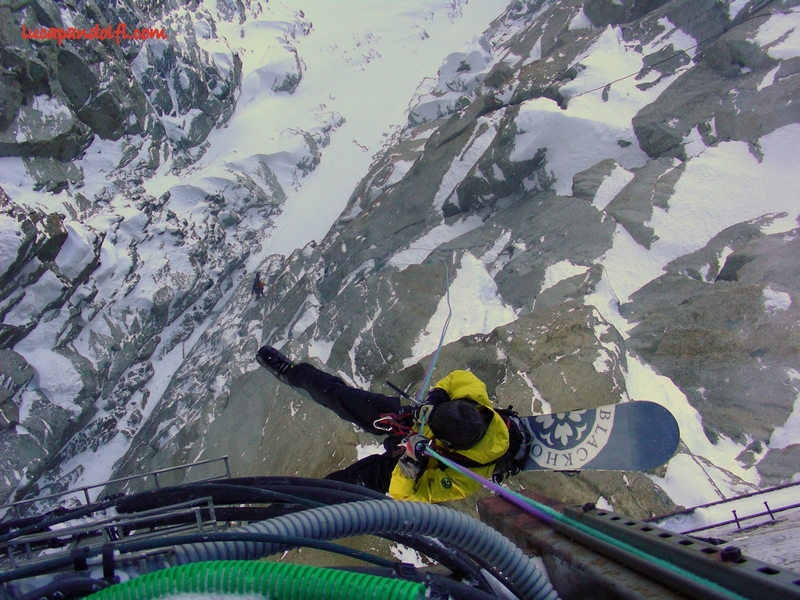 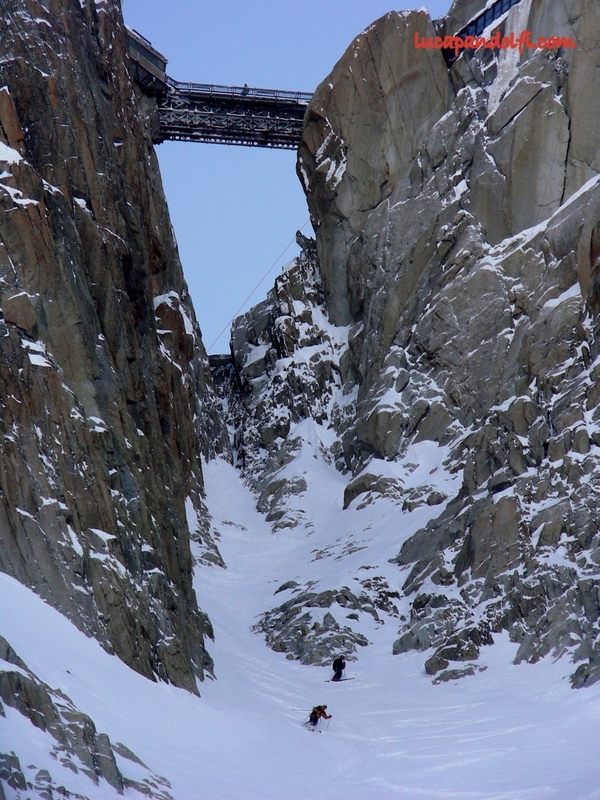 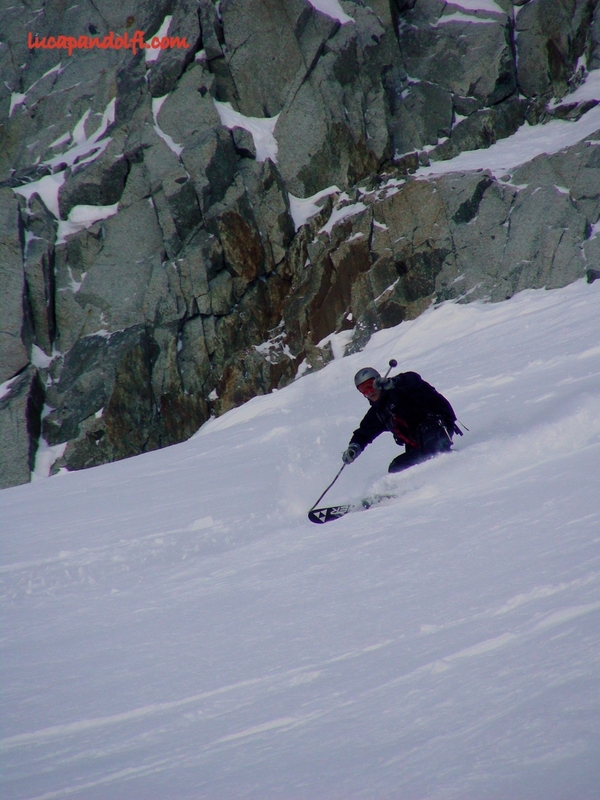 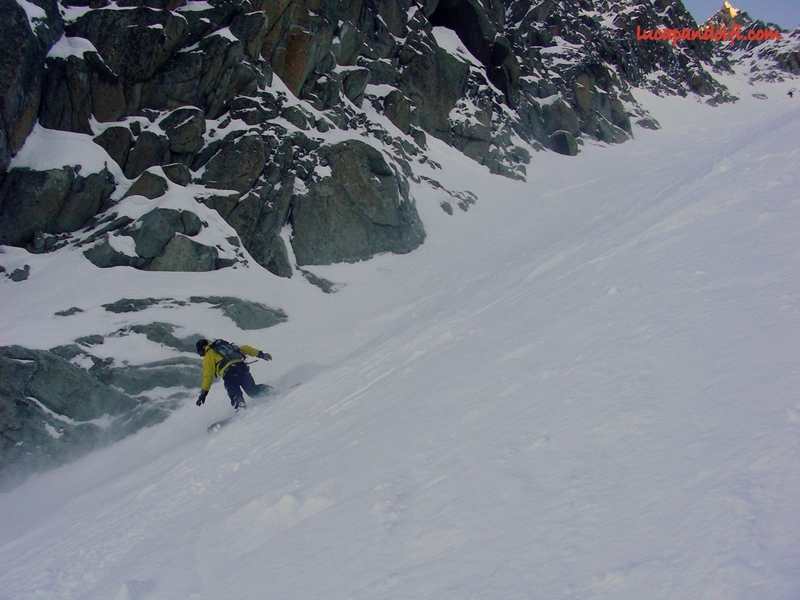 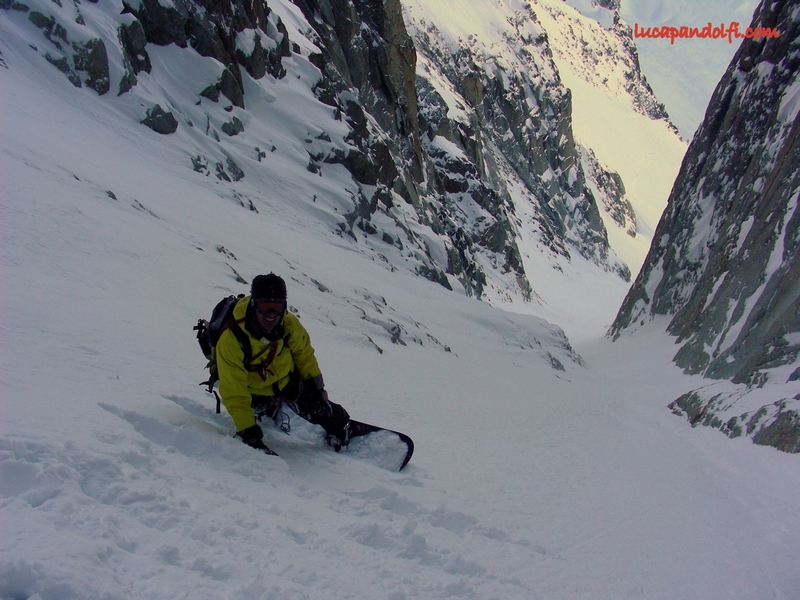 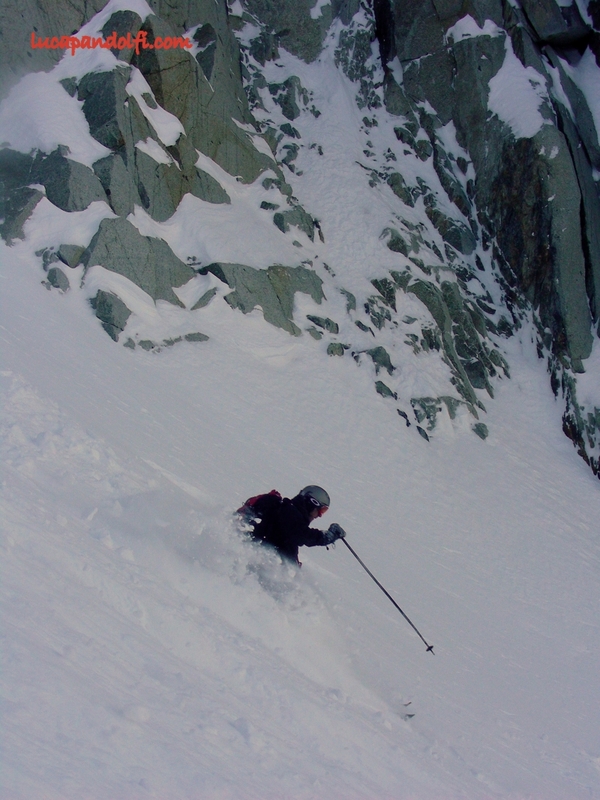 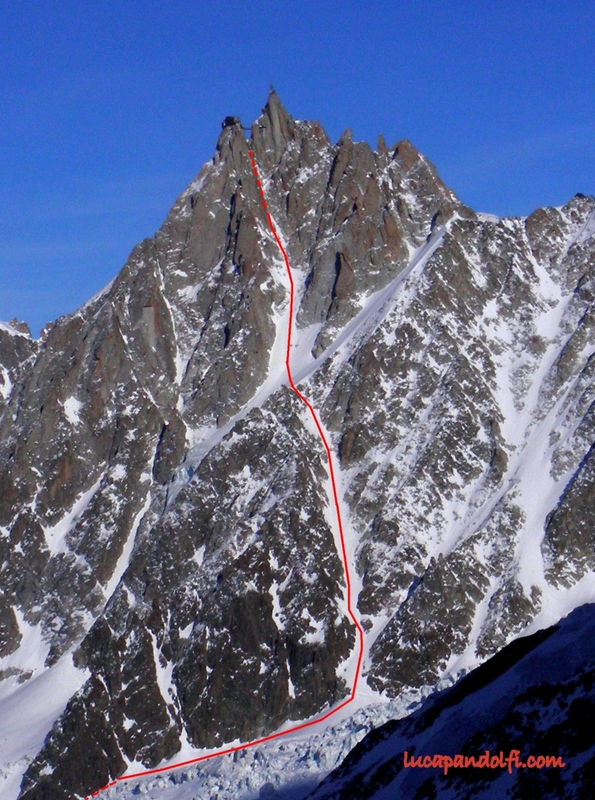 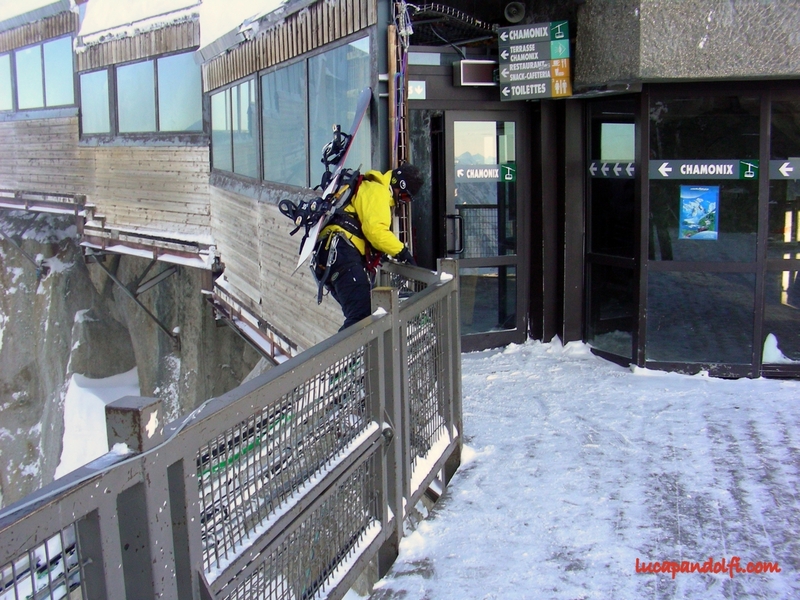 Was my first time in the Passerelle couloir. 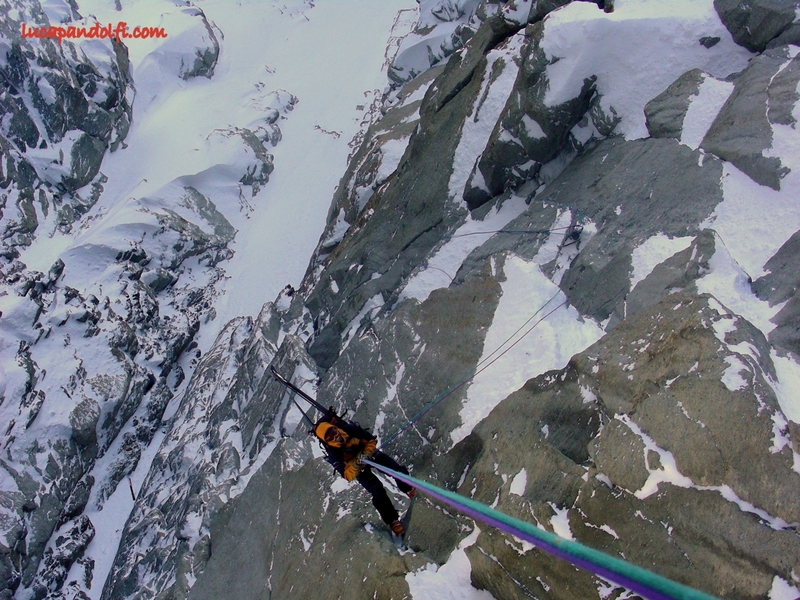 The 60 m rappel from the bridge into the void are a quickly morning wake up. 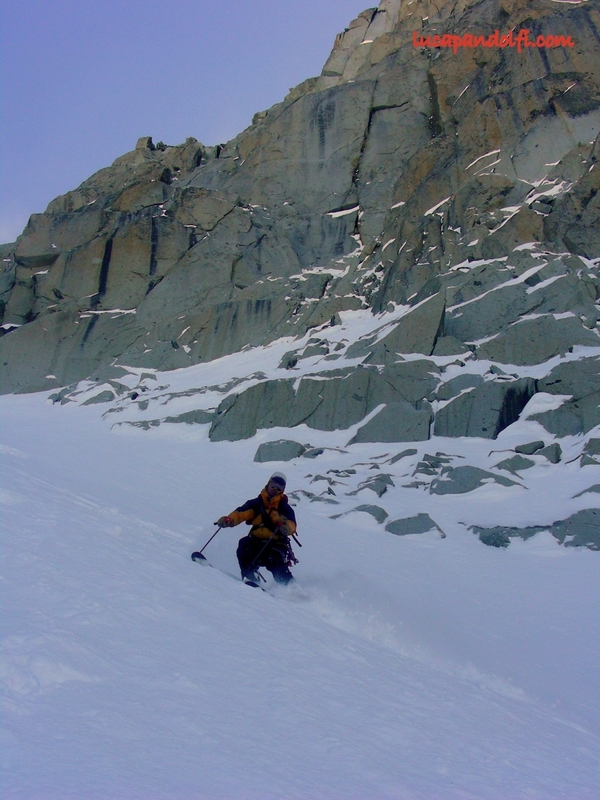 The snow was great all the way to the glacier.